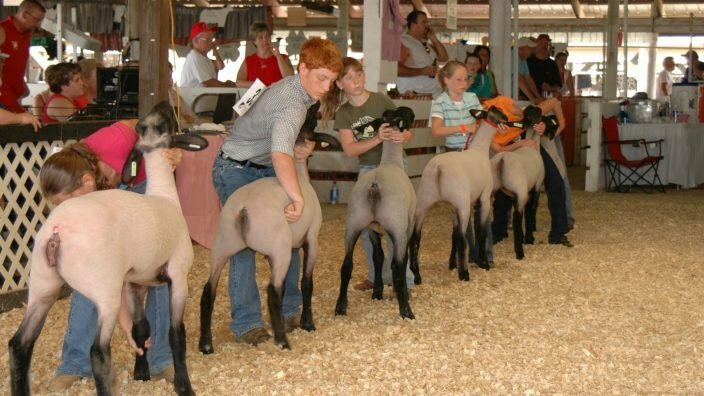 Marketing strategies that were once conceived in smoke-filled rooms on Madison Avenue also can be cured in a smoke-filled room at the meat locker. If you’ve ever had to be coaxed to “eat your Brussels sprouts,” it wasn’t because of this recipe. 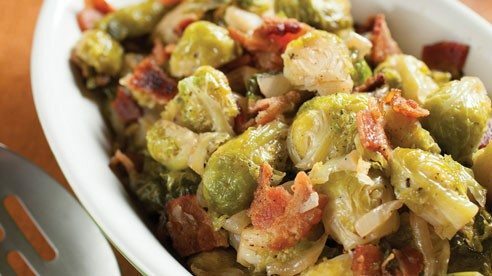 These Brussels sprouts soak up the sweet smoky goodness of pure local maple syrup, and the crisp bits of bacon add a little welcome crunch. 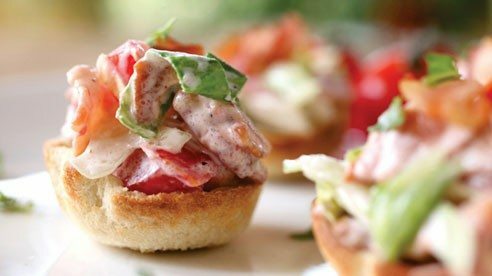 While a sandwich is the perfect home for the classic BLT, this variation mixes all the ingredients together and serves them up in neat little toast cups. 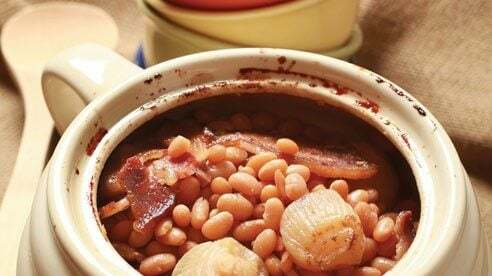 Assemble all the ingredients, mix at the last minute and serve. 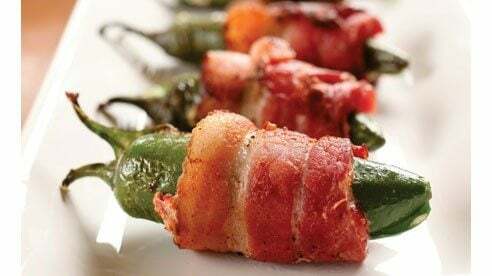 Anything wrapped in sweet, smoky bacon is a sure crowd pleaser especially these kicky peppers filled with warm, creamed cheese. 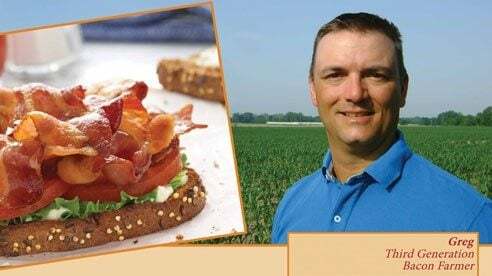 Try another fun variation by stuffing a large, dried date with a smoked almond, wrapping with a slice of bacon then grilling until the bacon is crispy. Outstanding! 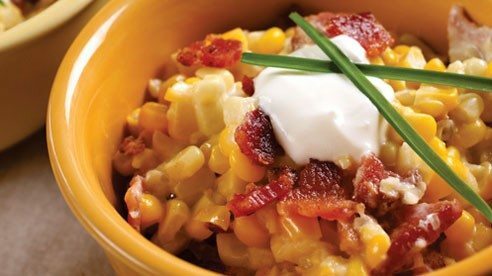 Yes, this casserole is rich, decadent and certainly an indulgence but it’s hard to pass up the combination of sweet corn, smoky bacon and tangy sour cream. While you can use canned corn, fresh, local corn is an even better idea. 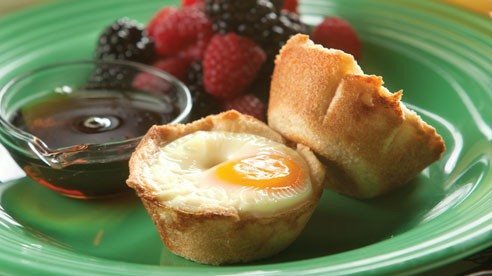 Serve these “twisted” little treats in the morning along with some scrambled eggs or offer them on their own as an appetizer. 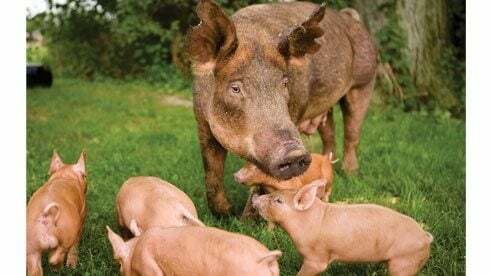 Heritage hogs have earned a mouthwatering reputation . 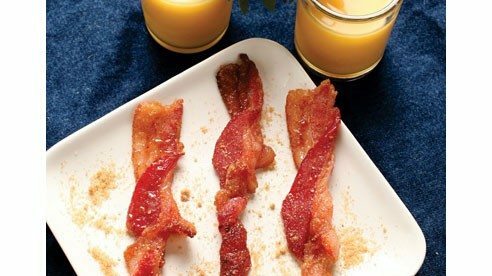 Maple syrup has its place at the breakfast table and sometimes in the most unusual places like in this all-in-one bacon and egg dish. 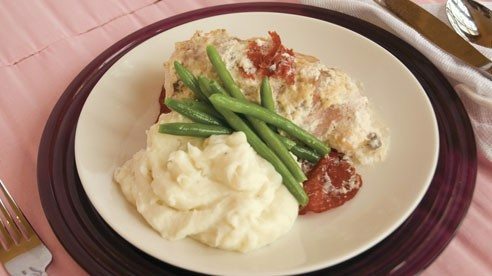 Dried beef and bacon add a special touch to this chicken dish.